It will make you feel happy. 18 packs with each pack containing 5 individually wrapped pieces. 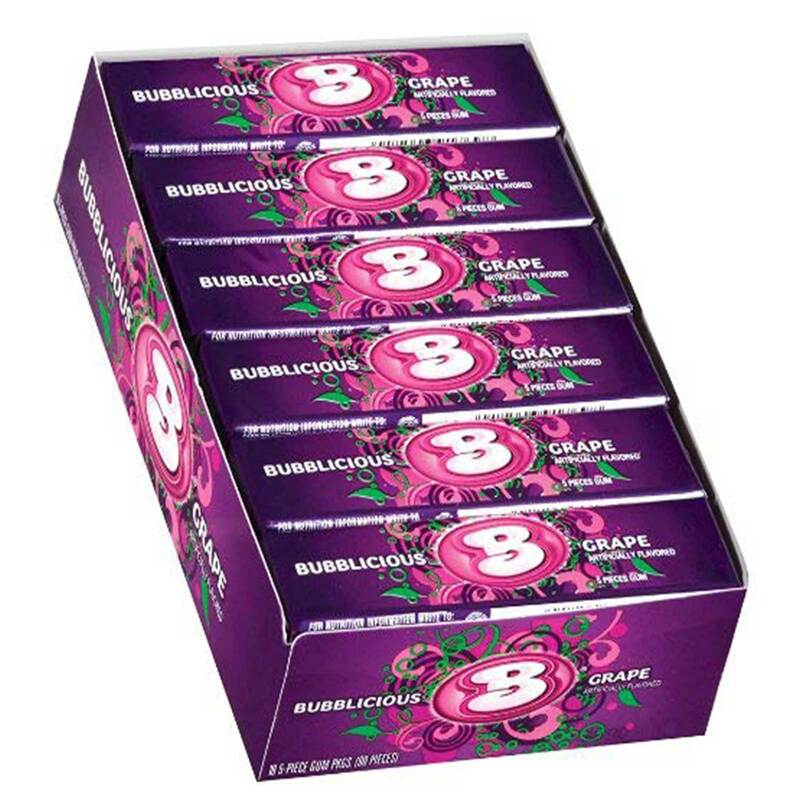 Order BUBBLICIOUS GRAPE in bulk at wholesale price at Volt Candy Online.